Focus Africa is a group of both African-born and Canadian-born Christians committed to spreading the love of Jesus Christ in a practical way. Focus Africa is a group of African-born and Canadian-born Christians committed to spreading the love of Jesus Christ in a practical way, especially to support and bring hope to women and children living with and affected by HIV/AIDS in Africa. We are currently working with Beacon of Hope, a registered Christian charity in Nairobi, Kenya. 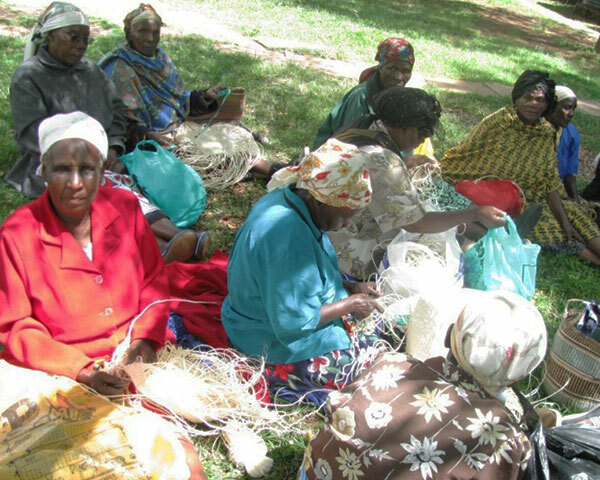 Beacon of Hope was begun by a Kenyan business woman, Jane Wathome in 2002 to address the needs of women and children in a large rural slum in Ongata Rongai, on the outskirts of the city of Nairobi. This community has a population of about 147,000. The mission of Beacon of Hope is to bring hope to women and children living with and affected by HIV/AIDS within poor communities in Kenya by equipping them and empowering them to meet their spiritual, physical, emotional, and economic needs. To date, about 3000 women have been assisted through training in income-generating programs, to be independent, to leave prostitution, and to have resources for their children to be fed and schooled. Focus Africa is committed to the sustainability of the work at Beacon of Hope. To fulfill this purpose, Focus Africa is currently building a residence for the Internship Program at Beacon of Hope. The Internship Program enables individuals from other communities in Africa to come to Beacon of Hope to train and develop their own community initiatives in working with those affected by HIV/AIDS. Beacon of Hope’s vision is to work with these communities until they become their own Beacon of Hope and are able to reach out and train communities around them. In the past, Focus Africa helped with the construction of the medical clinic, the preschool, and the short courses building that houses the grandmothers’ initiatives, an elementary school classroom, and the youth computer training. In addition to helping develop the resource centre at Beacon of Hope, Focus Africa is now involved with a child sponsorship project. This program empowers not only the sponsor child, but their family and the larger community by equipping them in sustainable ways. Sponsorship helps a child afford things like school fees, uniforms, books, food, routine health check-ups, and other services. Each sponsor is matched with a child and will receive letters from their child as well as school reports. They are also welcome to write to their child in order to develop a relationship with them. If you would like to sponsor a child, a minimum one year commitment is required. The yearly cost to sponsor a child is $725.00 Canadian which can be paid by a one-time payment of $725.00 or as a one-year monthly payment of $61.00. Full information on child sponsorship, privacy, and protection and a sample child’s profile are available on our website (www.focusafrica.ca). Although the crisis of HIV/AIDS in Africa can be overwhelming, Focus Africa seeks to enable people to respond to this crisis in a practical way, by holding fundraisers or by making donations. Together we can make a difference in the lives of women and children affected by HIV/AIDS.